350 Bay Area is forming a coalition of groups to promote a new vision for living a low-emissions life. 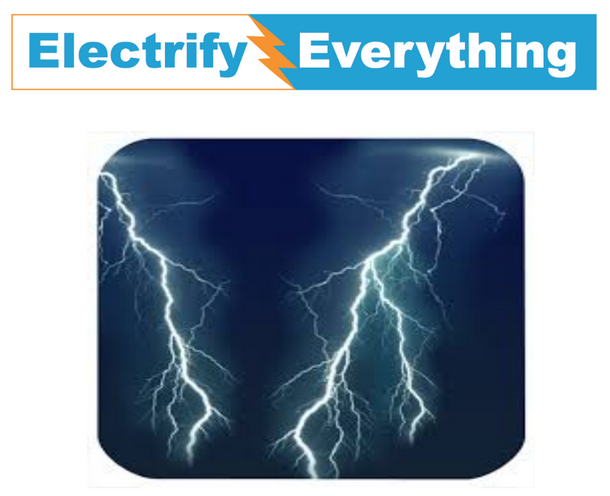 Electrify Everything will get people excited about the new options for electric alternatives for cars, air heating and cooling, water heating, and cooking. Electric options allow for no carbon emissions when combined with rooftop solar or the 100% clean energy options available from Community Choice Energy programs. Electrify everything will provide people with the education they need to get started, facilitate conversations, and move people to take action to lower or eliminate the use of fossil fuels in daily life. The key is to switch to 100% renewable energy, electrify all transportation, and heat homes using electricity instead of natural gas. In the Bay Area, people have access to 100% renewable energy through local Community Choice Energy programs for just a few dollars a month. Walking and biking is a terrific way to travel emissions free! If you drive, you can choose an electric vehicle next time you’re car shopping. We want all rideshares, like Uber and Lyft, to adopt an all electric fleet, so we don’t have to rely on gas burning cars. We need to ensure all public transit options, like trains and buses, to get on board too by running on clean and renewable electricity. Almost everyone uses natural gas (also known as methane, a powerful greenhouse gas) to heat their water and their house. But we know we must take steps to stop burning all carbon-based fuels; electric heat pumps can help us do the job. Currently, this coalition is being piloted by 350 San Francisco along with other environmental organizations so we can amplify our voices and spread the word that we all can make changes that matter today. We currently offer Electrify Everything talks, and our EV101 Class is a good way to learn about buying or leasing an electric vehicle. We will be training people to give talks that inspire and inform people on how to electrify everything, so we can continue to spread the word. In the future, we plan to develop a concierge phone line to provide live help to those with questions about electric vehicles, rebates, charging infrastructure and other subjects of interest to potential electric vehicle drivers.